Haunted Haystacks are a variation on a traditional butterscotch haystack that’s perfect for Halloween! 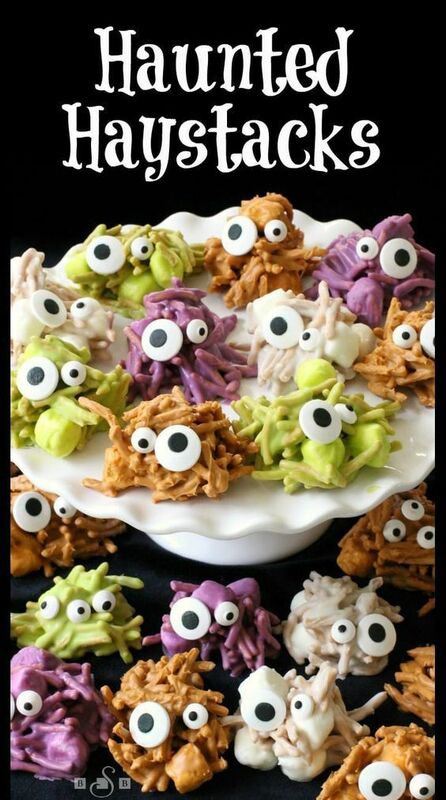 Celebrate Halloween with these ghoulish little Haunted Haystacks! Delicious, easy to make & just a few ingredients required for these fun & festive desserts. Visit Haunted Haystacks @ butterwithasideofbread.com for full instructions.